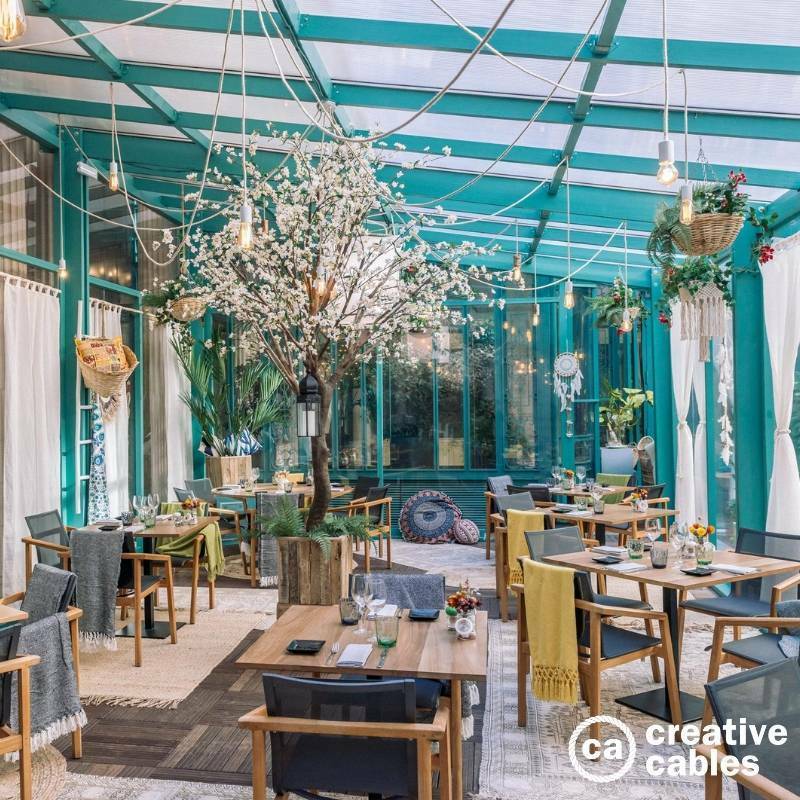 This composition created for a French hotel aims to illuminate the terrace where a small restaurant is located. Built in wood and metal beams painted in light blue, the room is lit with this ultimate terrace lighting. Two spiders have been installed, one with 5 pendants and one with 6 pendants, with a white metal lamp holder and a jute coloured cable, whose colour compliments some hanging plants. Which products have been used? Spider is a multiple suspension light that provides a variable number of cables: the colour of cables, rosette and lamp holder is fully customisable! 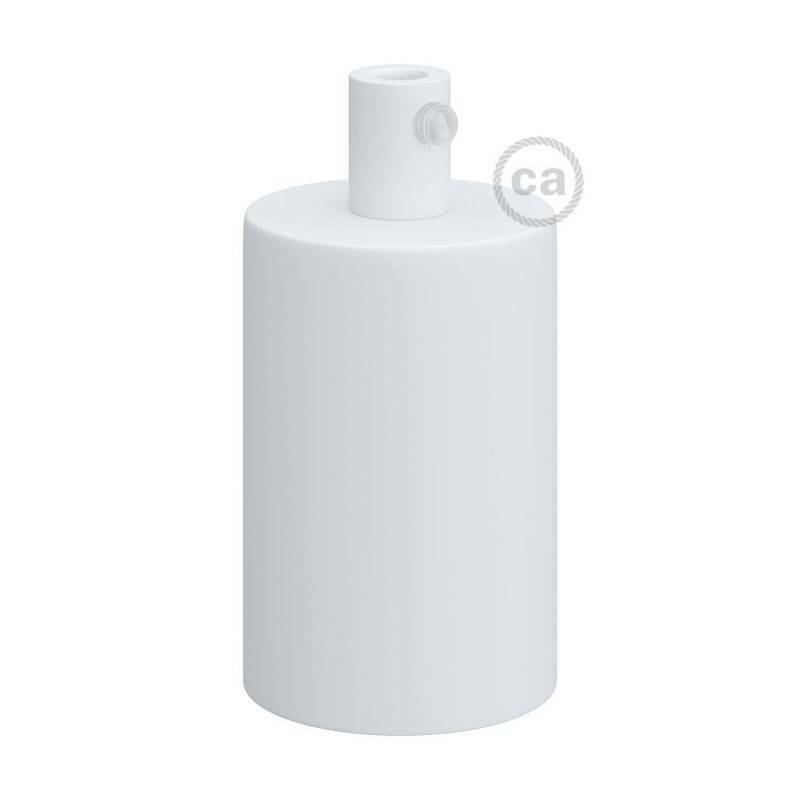 Our metal E27 lamp holder kit in white matt is a perfect combination to our metal ceiling roses. These two products are made even more elegant by the matching cylindrical cable retainers. 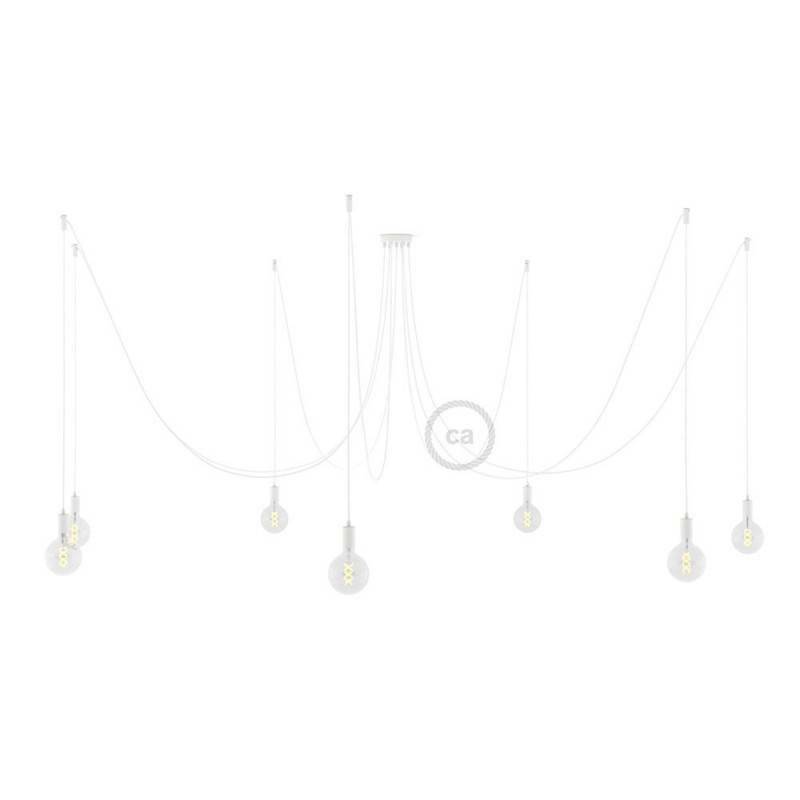 Spider, multiple suspension with 7 pendants, white metal, RM01 White cable, Made in Italy.